After a bleak and normally frugal January, Valentines is a date to look forwards to for most, as even if you aren’t loved up you can celebrate with other single friends and moan about all your pals in relationships! For us Valentines day comes a few days after Sam’s birthday and a couple of weeks after my own so quite often we’re all spent out and have a fairly low key celebration but we still like to get each other a gift if we can, and tend to have a meal together too. I’ve put together some great gift Valentines gift ideas here, so hopefully you can find some inspiration to treat your special someone, or even yourself! For a pampering evening in these items together are just perfect… first you can treat your feet with the Baylis & Harding Cassis & Fig slipper set from the selection of gifts at Victoria Plum and then put your newly pampered, fluffy-slippered feet up, pull the cosiest of blankets over your knees and light a new candle and then RELAX! 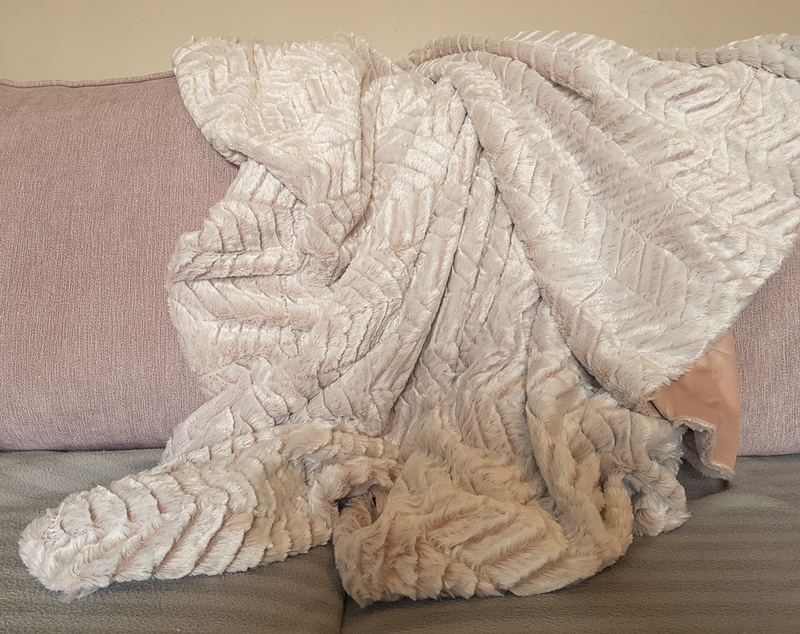 The blanket, from the selection of home furnishings at Beautify is a beautiful soft faux fur with a subtle herringbone pattern on one side, smooth on the other. There are also furrier throws, cushions and more to choose from. The candle is from the new Aromatherapy range from Parks Candles and the scent is Sandalwood and Ylang Ylang, which is really relaxing, and with a fifty hour burn time you’ll get more than a few evenings out of it! 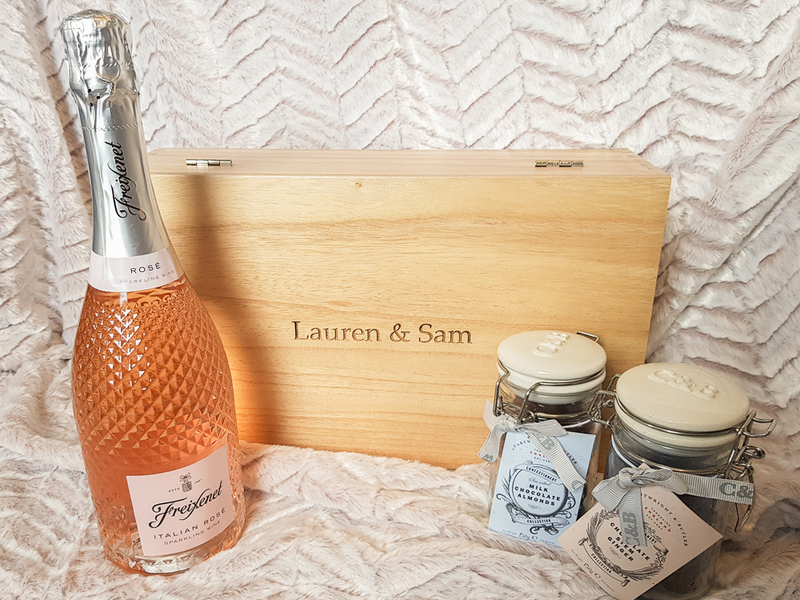 To continue your evening of pampering you definitely a glass of something fizzy and something sweet to nibble, and the beautiful engraved gift boxes from Farrer & Tanner is perfect as a gift for someone you love! You can choose to have any name or word on engraved on the wooden hinged box, so it can be reused for storage (I plan to use mine to store photos & tickets and other memories from our dates, rare though they are! Inside is a bottle of sparkling Rosé and two pretty little jars of chocolate – which we probably won’t be able to save till Valentines day, I think i’ll crack them open for my Birthday later this week! If Rosé isn’t your sort of thing you could choose from Champagne, chutneys and lots more! 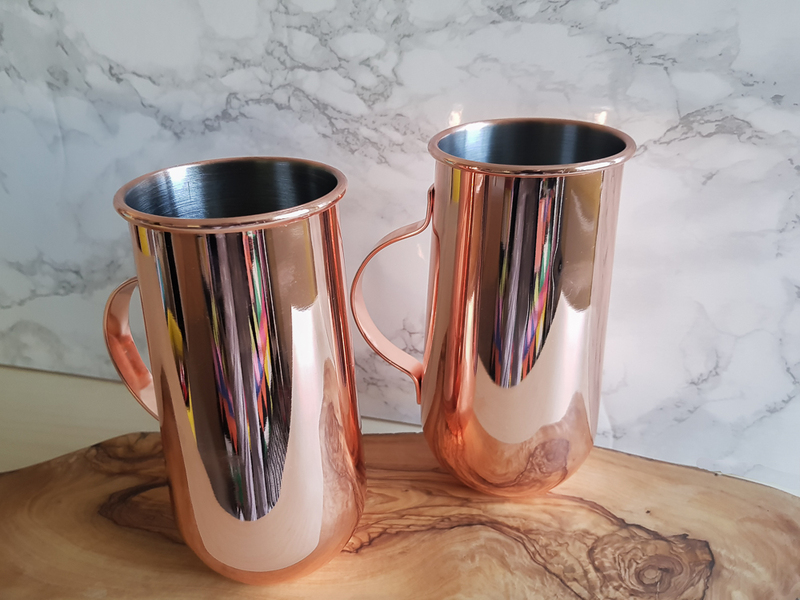 For those of you that love a bit of cocktail making, even if it’s just a G&T then the from the vast Bar Ware selection at Vonshef will come in handy! They also do a more traditional martini glass but still in copper, as well as wine glasses, ice buckets and lots more! 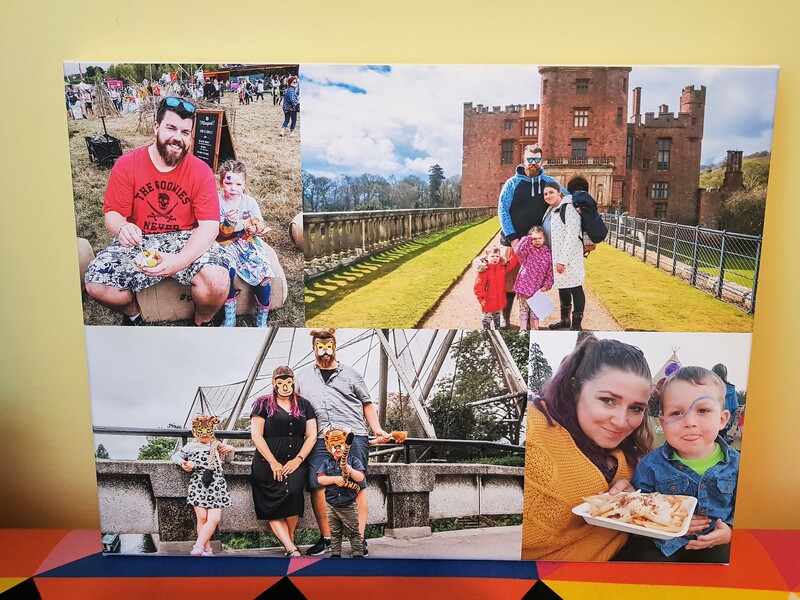 Another great personalised valentines gift idea is using photos so you can make as tailored to the recipient as possible – and with so many choices on the ASDA Photo website it makes it really easy! 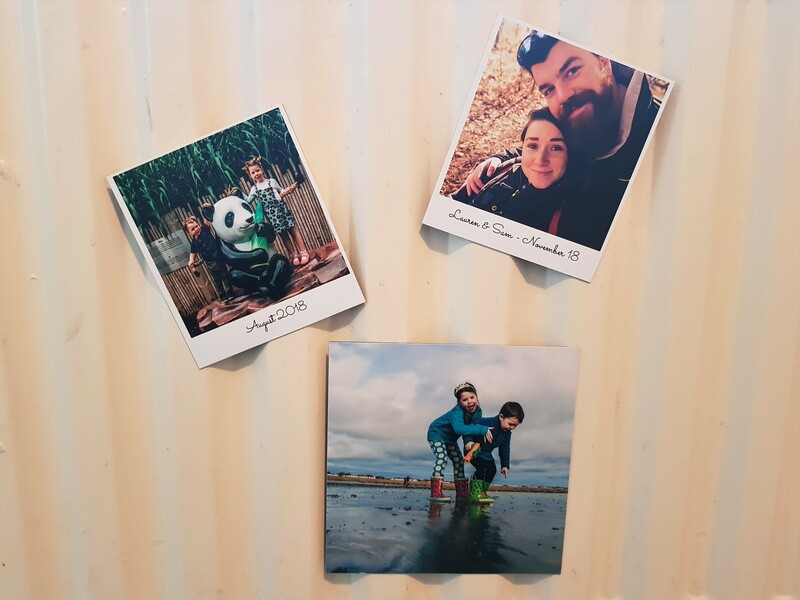 I created a multi-photo canvas and three large photo magnets in under ten minutes. I uploaded the images from my computer, though you can also pick images from Facebook or Instagram too. You can choose from a variety of styles, designs and sizes and delivery took no more than a few days (with helpful emails updating me on the status.) Athena has claimed the magnets for her room and they’re now living on her radiator! The canvas will go up in our hallway, and has four lovely memories from various trips we took last year! Another amazing personalised gift is the ‘Romance Edition’ from The Book of Everyone. 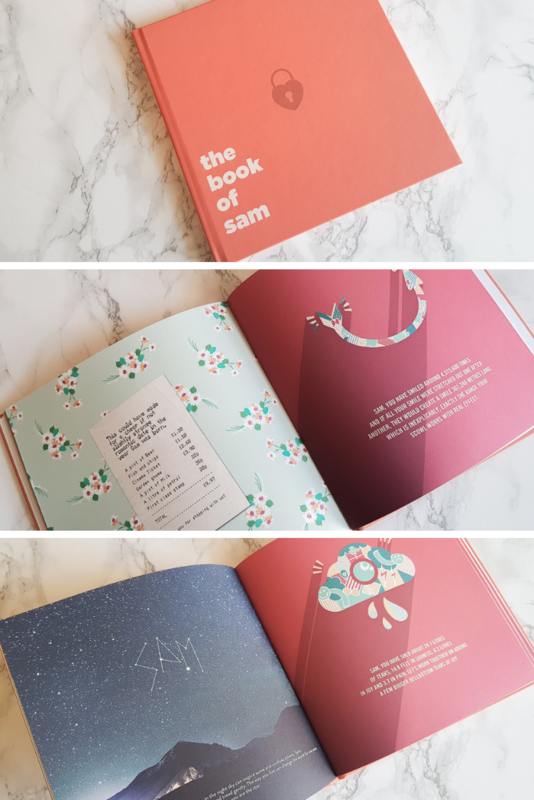 It’s a book that you can completely personalise to suit your recipient, you choose their date of birth, pop their name in and the book auto-fills with all manner of facts about them! You can then choose to further personalise most pages to really tailor your book and make it really stand out as a special gift! You can choose the name/s of who is giving the book, and put in special quirks and foibles of the person – definitely a gift to truly treasure! 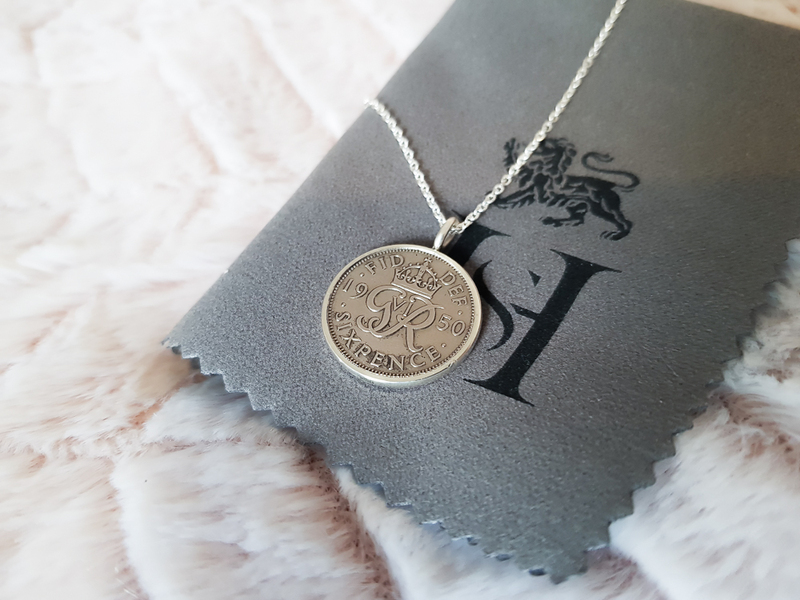 Another truly personalised gift is a Lucky Sixpence charm necklace, to give love and luck to whoever you choose to present it to! You can even choose from a select list of many years right back to the 1920’s, and can engrave a name or message on the reverse of the charm. The Lucky Sixpence charm necklace is from Hersey & Son silversmiths, but if a sixpence isn’t quite right for you then there are lots more stunning designs to choose from, including a heart range and birthstone and zodiac themed jewellery for a personal touch. 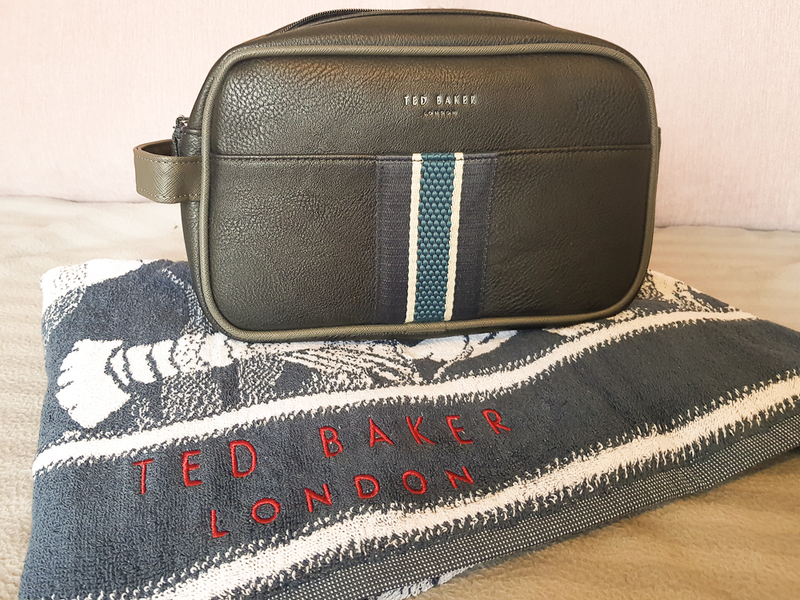 Now a gift for the guys, a Ted Baker gift set from the selection at Mainline Menswear, consisting of a leatherette wash bag that’s big enough to fit toiletries for a week in, plus a funky lobster print towel. Mainline stocks clothes and accessories from so many different brands, so is a great website to bookmark for future gift-buying for men! 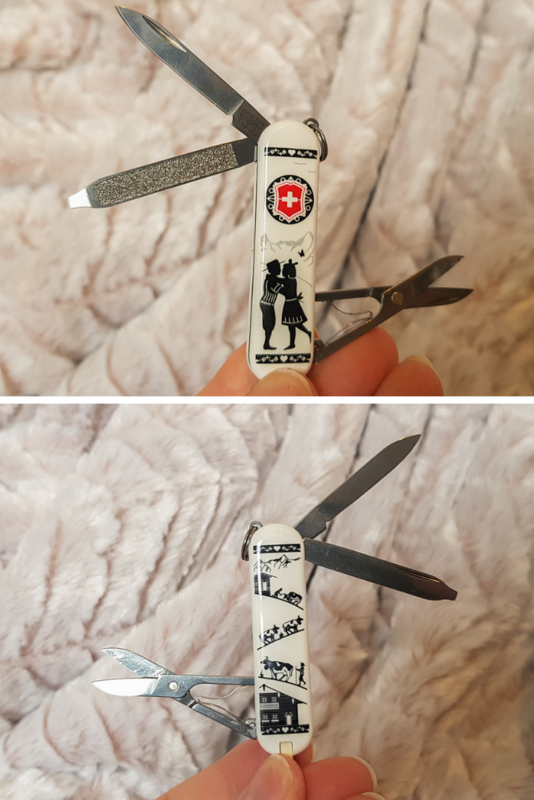 A slightly more unusual gift, perhaps one for the recipient who falls into ‘already has everything’ category and that’s the classic Victorinox Swiss Pen Knife! This one is a limited edition ‘Alps Love’ model, which is definitely more exciting than the standard colours, although they now come with a wooden handle too! These little devices are so handy, with a small knife, scissors, tweezers, tooth pick and nail file/screwdriver they can attach to your keys and come in useful time and time again! I’m keeping this one for me actually, but I think I’ll get Sam a more manly version with more tools on it for a gift in the near future! I hope the items I’ve picked above have given you some inspiration but I also have two giveaways for you below for perfect Valentines days gift ideas! 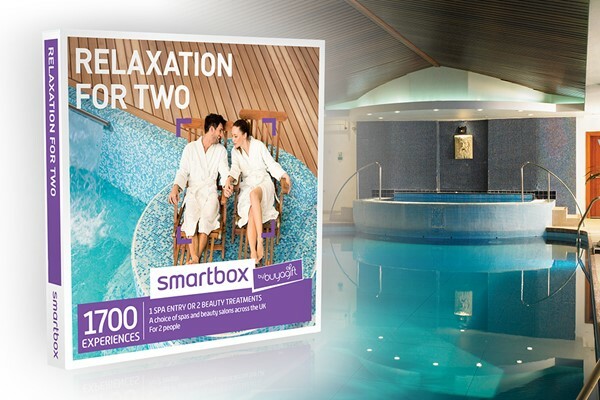 First up is the Relaxation for Two Smart box from Buy A Gift. This clever box contains all you need to book a perfect day of relaxation. You can choose from over 1700 experiences at locations all over the country. Will you head for a Jacuzzi with champagne? Maybe a massage for two. What about a manicure and pedicure, or a wash cut & blow dry for the pair of you? It’s so easy to browse, choose and book and is the perfect way to celebrate Valentines with a partner or Galentines with a friend! 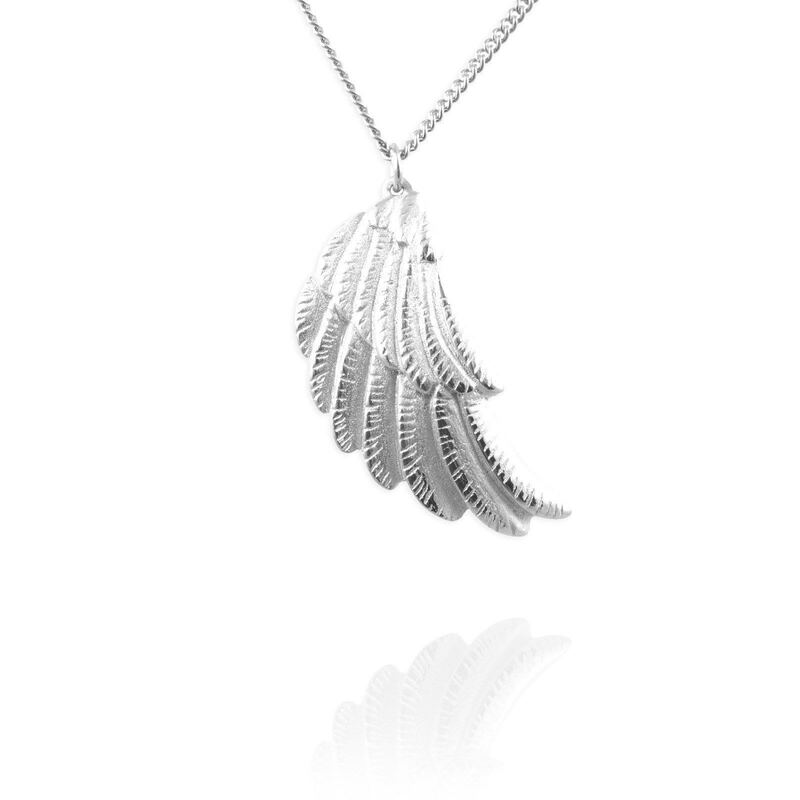 Next is your chance to win the most beautiful Silver Wing Pendant from Jana Reinhardt Jewellery. Local to me (in the same town!) Jana creates intricate, unusual and eye catching jewellery from her studio. With a huge range of designs and types of jewellery there really is something for everyone. Her collections include Spirit Animals, Ellipses and Rainbows & Unicorns and the new Birth Month Flower collection, which are so unique. She has kindly offered one of her Silver Wing Pendants worth £89 to one very lucky winner! Good Luck! You are of course welcome to enter both giveaways. They both end on Sunday 10th February 2019 at 11.59pm. 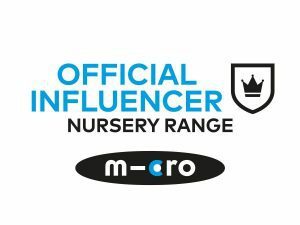 UK addresses only, and each prize is being supplied directly from the brand. By entering you agree to give me your delivery information to pass on. Full T&Cs on each entry widget. These items were sent to me for inclusion in this post, some links are affiliate links for which I get a small percentage of the item cost but the price you pay remains the same. Football stadium tour at anfield looks like a great day out! I’d love to go for a posh afternoon tea but with fizz. The view from the shard for 2. I’d love to go for an afternoon tea! A View from the shard for 2 would be amazing. The Bear Grylls Adventure Basecamp and High Ropes for Two – This looks amazing! I love the Tiny Hummingbird Necklace. I love the Deer Pendant Necklace! I’d take one of Buyagift’s short breaks to Bristol,a city I have never visited. I love the Flower Bangle from Jana Reinhardt. A themed afternoon tea would be a very unique and special experience.I love things like that as they are so different. I love the Trilogy Flower Engagement Ring it looks so pretty. I love the wing hook earrings. I’d like to “Go Ape” – it looks like great fun. The Full Day Cookery Course at Waitrose Cookery Schools appeals to me. Time to learn some new skills! The stacking rings with blue topaz are gorgeous. I like the look of the Penguin Necklace. I love the look of all of the spa days on the website and although I know the aim of this post was to inspire us on Valentine’s day, and although my gorgeous hubby and I have our anniversary just before the 14th, I’m afraid my ‘partner’ if I was lucky enough to win this would be my best pal (also called Sue) rather than my hubby. I think when you really understand your Valentine, you understand what they like…and what they don’t. The relaxation would be a real treat for me but would be a nightmare for him. So if I was buying from the buy a gift website for hubby for Valentines day I’d buy the Triple Supercar Driving Blast with Free High Speed Passenger Ride. Now THAT, I know he would love!!! Love the wing pendant that you’re giving away but I also love her hippo necklace. I often joke to hubby that I feel like a hippo after I’ve eaten (and some days it’s not a joke!) – so I really love the necklace she has created. I love the Flower Scatter Ring in white gold. The Flower Bangle – if my fairy godmother is reading, could she please see it her way to magicking up the Flower Bangle in 18ct Rose Gold please? Would love a spa day with afternoon tea! Would love the posh afternoon tea but with fizz. The Tiny Snake Pendant Necklace would be lovely. I love the Rainbow Ring https://www.janareinhardt.com/collections/most-popular-jewellery/products/rainbow-ring – it’s stunning and very different from anything I’ve ever seen before. The Two Nights for the Price of One Hotel Break looks great on Buyagift website! Buyagift: Any of the Spa Day experiences would be most welcome right about now. Jana Reinhardt: I really love the Wing Pendant Necklace, which is why I’m here trying to win one – it’s so detailed and delicate. I love the look of the Relaxation Spa Day with Treatments and Afternoon Tea for Two. Would be lovely to treat my mum to it! I really like the Chameleon Ring, it’s so unusual! I love the idea of the glamping break with a bottle of fizz. It would be a perfect and unusual treat for me and my husband! I’d love to have a spa break! Or perhaps an afternoon tea! I absolutely love the rainbow necklace! So colourful and pretty! I love the bird bracelet! I’d love to go on a theatre and dinner break. A spa day at Champneys would be wonderful! I love the Diamond Flower Engagement Ring! I’d take my daughter for a cinema outing. a London Theatre break for two looks amazing.Would be such an experience. Champagne afternoon tea would be lovely, there are quite a few locations not too far from us. I love Jana’s hummingbird earrings! The crystal maze live experience! I’ve always wanted one of those crystals! Either an afternoon tea or a spa break! Climbing and Abseiling looks amazing! 2 nights for the price of one hotel stay! I would love a nice meal – nothing better than someone else cooking for you. Champagne afternoon tea or a hotel break. I like the mouse stud earrings. I love the hummingbird earrings! Two nights for the price of one sounds good to me. The blissful spa day with treatments and afternoon tea would be amazing. The Silver Wing Pendant is actually the one I would choose, I love it. A hot air ballon ride. I adore the cat locket, so sweet! The Two Night Family Break at Novotel Sheffield Centre is really good! I would love afternoon tea at the top of the shard!!! They have some great things, I love the Family Tree Ring with Birthstones. The Overnight Getaway with Dinner for two sounds great. A Hot Air Balloon flight with champagne sounds like a lot of fun. flying lessons would be ace. I would definitely treat my grandma to afternoon tea, she loves the little sandwiches and cream cakes, and it’s would make her 82nd birthday a day to remember for me and her. Indoor sky diving from buyagift looks amazing! I love the idea of a hotel break and the two nights for the price of one is just what I need! Zorbing for two….looks like fun! I love the leaping cat necklace. The theatre trip for two and meal looks amazing! I love the hummingbird necklace. A meal at the shard looks like a fabulous experience! l adore the cat locket, its so cute!